Paris has somewhat of a reputation to be a very expensive city. This, of course, can be true if you intend to spend your stay with dining in Michelin star restaurants and shopping at haute couture designer stores. A very inexpensive way to pass the time in the City of Light during the summer is to organize a picnic. 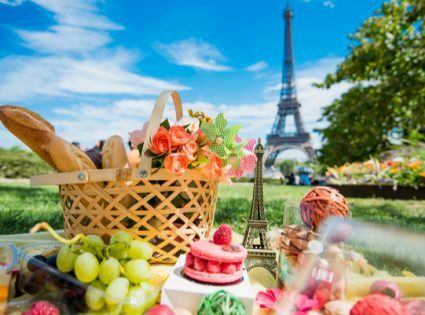 In fact, picnics are very popular among Parisians and what makes this little joy in life a little lovelier is a good location. 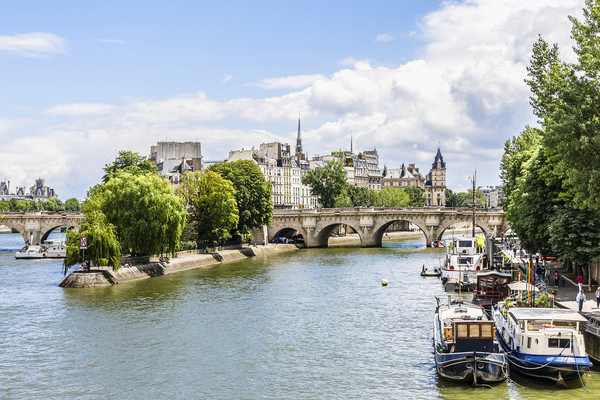 Here we explore some of the best summer picnics in Paris. 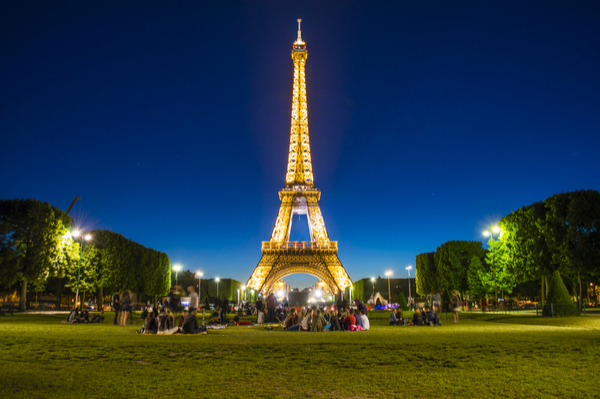 From this long stretch of lawn, you will have an excellent view of the Eiffel Tower and the perfect place for everyone visiting Paris for the first time. 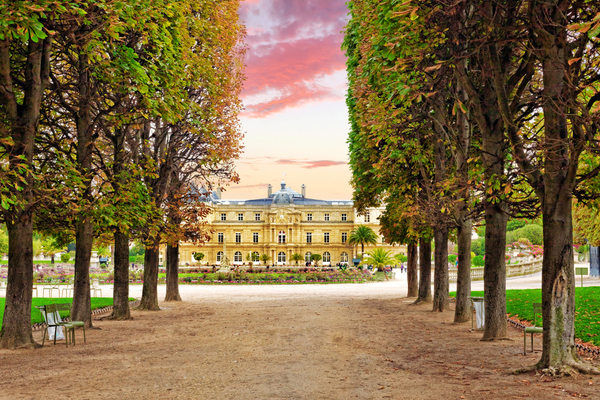 This park is among the most popular and most famous in Paris not just for picnics. Having a traditional picnic could be a problem because there are many green areas where it is not permitted to sit down, but you can put a couple of the chairs together that are found all over and have a picnic this way. 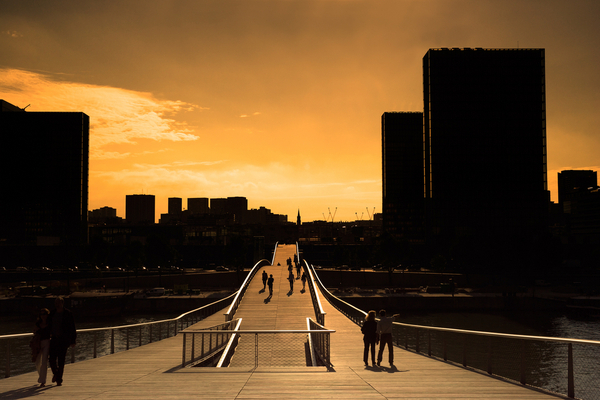 This is a pedestrian bridge that crosses the Seine linking the Bercy park and the Bibliothèque François Mitterrand which is growing in popularity for picnics. You’ll have a great view and scenery around you. This is one of the natural islands on the Seine and at the tip of the island, there is a garden which is excellent for a picnic. From this point, you will see boats go by on both sides. Another recommendation on the island is Place de Dauphine, a rather quiet, hidden corner where you can have a picnic on the benches. As the summer days are long this place is beautiful for a picnic in the evening. You’ll see the reflection of the sky in the building while sipping in French wine and eating French cheese. 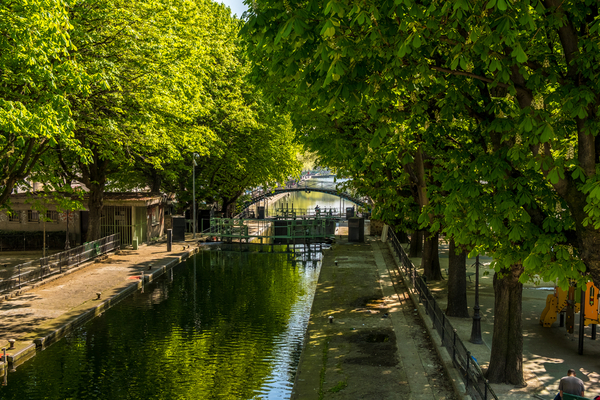 Along with this 4.5 km long canal, you can eat under lovely overlapping branches of plane trees. 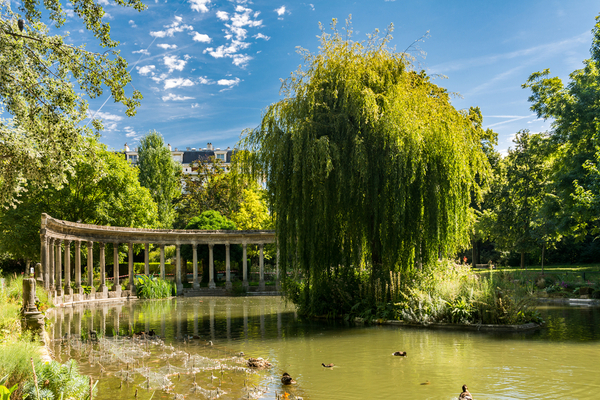 Parc Monceau is a public park situated in the 8th arrondissement of Paris. At the main entrance is a rotunda. The park covers an area of 8.2 hectares. This park is the epitome of a picnic spot out of a movie or book. It is very picturesque with statues, flower beds, and a pond. Also, it is great to go with children because the park has a playground and pony rides. As you can see Parisian crowd doesn’t limit the picnic grounds to parks and gardens, especially because there are many green areas that don’t allow sitting down, but that doesn’t keep anyone who is staying in Paris from enjoying a picnic. Packing up some good food, good French wine and enjoying that in great company, I can’t imagine many things that are better. Do you already know which wine and cheese to pack?